Google Developer has recently introduced the better security measure. 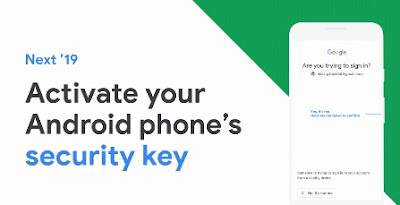 'How to activate your Android phone’s built-in security key to protect against phishing?' The method is very simple. The ultimate account security is now in your pocket right now if you are an Android user. The world filled up with Android smartphone users and it is mandatory to follow the Google's guideline on this in order to be safe and secure with your credentials, plus privacy. Are you interested to know the next step? Please find it here. How to activate Android Phone security key? Two-step verification (or 2SV) makes it even harder for attackers to gain access to your accounts by adding one more step to the sign-in process. Are you agreen on this? If yes, continue to read the next chapter. While any form of 2SV, like SMS text message codes and push notifications, improves the security of your account, sophisticated attackers can skirt around them by targeting you with a fake sign-in page to steal your credentials. Please note, when signing in, make sure Bluetooth is turned on on your phone and the device you are signing in on. 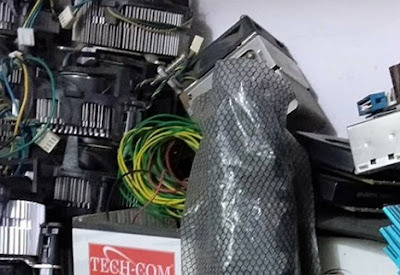 You can visit https://blog.google/technology/safety-security/your-android-phone-is-a-security-key for more detail on how to secure your Android phone from phishers and hackers etc. Hope the above article helps you. Feel free to ask your question.